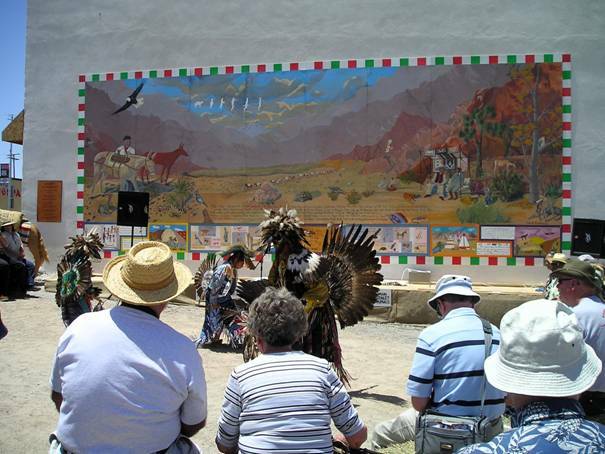 Main Street Murals was proud to be a part of the 2007 conference. 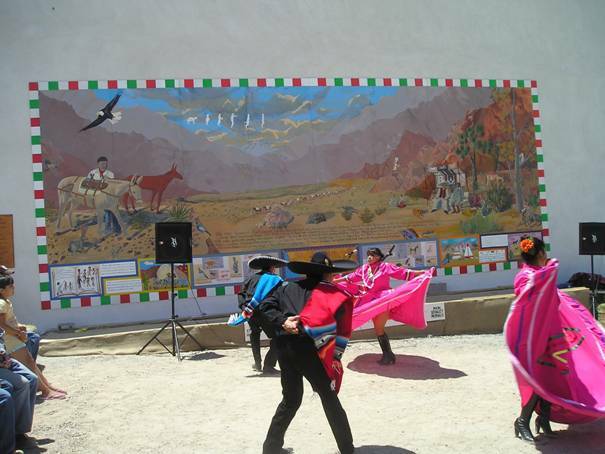 The dedication ceremony included a guest caravan from the conference site to the mural site for performances and lunch with a culmination of the Education Project. The bottom section of the mural shows the gate program students work. 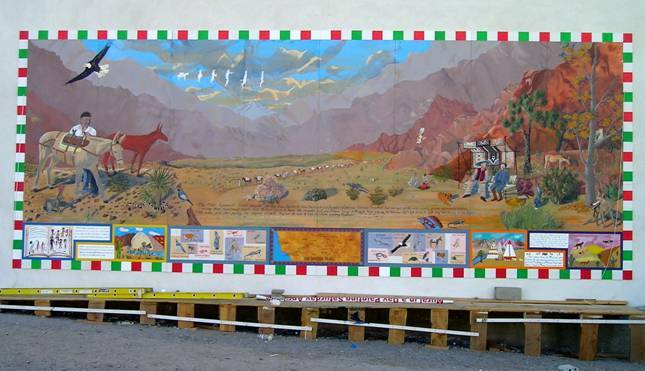 An animal key which encourages people to name (in English and Spanish) and then find all the animals in the main mural as well as the map of the Old Spanish Trail which crossed six states from New Mexico to California.